Full Sail Partners, a Deltek Platinum Partner, is pleased to announce the addition of Valerie Kelleher to the client services team. Valerie has joined the firm as the south central account manager and will provide account services for Full Sail Partners’ clients in the southwest United States. In this position, she will work as a liaison between Full Sail Partners and clients, helping to build an open and collaborative community. 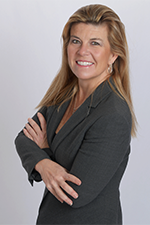 Valerie joins Full Sail Partners with over 20 years of accounting and finance experience. Additionally, she has served as a contract administrator in the architectural and engineering industry. The Full Sail Partners’ Account Management Program is designed to serve the needs of our Deltek client base and promote greater engagement. In this role, Valerie will serve as an additional resource to address client questions and will be a dedicated point of contact for the clients in her region.